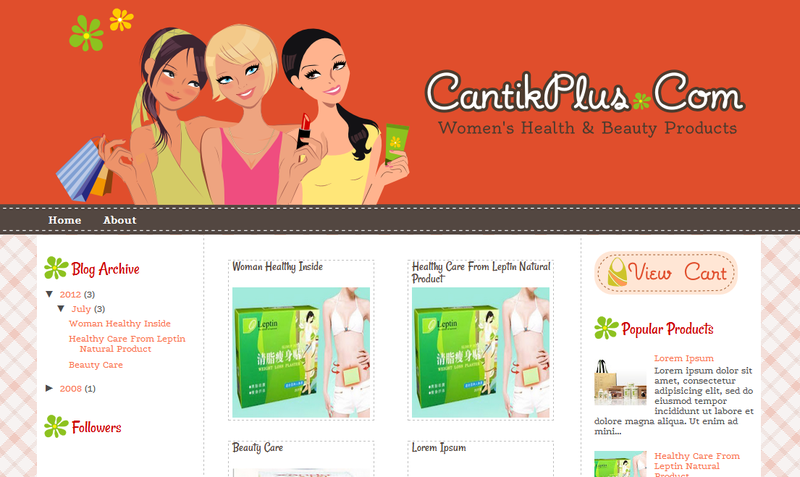 This is new custom blogger template design for women's health and beauty product online shop, Cantik Plus. The owner asks an orange color because she thinks it gives fresh and cheerful atmosphere. Another request is 3 women represent beauty, health, and slimming products. I combine orange color with tartan soft orange background color. Also choose gallery layout as online store blog design. hai cmner nk guna template untuk ini..boleh ker or x?.. berape kos buat blog ni?